LONDON: The Muttahida Qaumi Movement’s founder Altaf Hussain and one of the party’s Rabita Committee members have issued apology to this correspondent in an out-of-court settlement for which a petition was filed for a defamation case before the London High Court. This correspondent had approached the court after negotiations with the MQM-London’s leadership failed over a defamatory press conference held at the MQM’s International Secretariat on 30th of October 2017. The press conference was addressed by MQM Rabita Committee members Qasim Ali Raza, Nadeem Nusrat and others. In the press conference, Qasim Ali Raza made a number of serious allegations against this correspondent over reports published in this paper. Those reports, citing insider sources, had revealed that the MQM-London was headed for a split and Nadeem Nusrat could leave UK - and the MQM - over differences with the party founder. Besides other unsubstantiated allegations, the MQM leader accused this correspondent of running a long campaign against the MQM leadership through his reports. This correspondent approached the MQM leadership and requested for retraction of the seriously defamatory allegations but year-long negotiations didn’t result into a way forward. A petition was filed at London High Court’s Queen’s Bench, resulting in a claim issued to Altaf Hussain and Qasim Ali Raza. Acting on the legal advice, the MQM leadership agreed to settle the case out of the court and without going to a trial. It was agreed that the MQM will issue an apology and retraction of all its defamatory and false allegations and will pay for the damages and costs of the case. Details of the full agreement will remain confidential. The MQM has, as per agreement, posted the below apology and retraction on its website which will not be removed for as long as the MQM-London and its website exists. “On the 30th of October 2017, a press conference was held at the International Secretariat of the MQM. The press conference was addressed by the MQM leaders Nadeem Nusrat, Saleem Danish and Qasim Ali Raza (“Mr Raza”) amongst others. “During the said press conference Mr Raza (acting for himself, the MQM and leadership) made various wholly false, fabricated, malicious, offensive and highly defamatory statements and allegations against Mr Murtaza Ali Shah (the London lead reporter for Jang Group of Newspapers (The News & Jang)), his family, Geo News and others including wholly false allegations of blackmail, fabricating and publishing bogus stories, being corrupt and of chauvinistic mindset (jointly and severally the “Allegations”). It was further falsely alleged that Mr Murtaza Ali Shah has been involved in running media trial of the MQM. 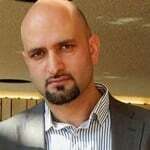 “Mr Murtaza Ali Shah commenced defamation proceedings against Mr Altaf Hussain and Mr Raza and has been communicating with us through his lawyer as part of his defamation claim. “Following that, we conducted our own investigations to the allegations made and the subsequent complaint by Mr Murtaza Ali Shah. We have found NO evidence whatsoever against Mr Murtaza Ali Shah to substantiate any of the Allegations and we can report the Allegations were and are wholly false, fabricated, baseless, offensive, devoid of any merit and therefor highly defamatory of Mr Murtaza Ali Shah. “Accordingly, we unreservedly and sincerely apologise to Mr Shah for the false Allegations that were regrettably made at the press conference (stated above) and also broadcast from our office through our online platforms. We are extremely sorry for any harm and/or distress that was caused to Mr Murtaza Ali Shah, his family and/or the Jang Group and/or Geo News. 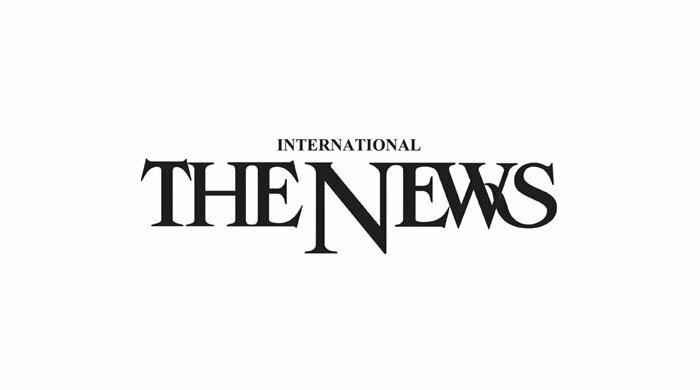 “We are happy to clarify and confirm that Mr Murtaza Ali Shah is a highly respected professional journalist with the highest integrity and reputation. “We have undertaken to remove all media links carrying these Allegations from our media platforms and not to repeat them again.